The Hartmann mesh wheels are a hyper-silver finish with a diamond-cut machined lip. The wheels also feature cosmetic, press-in style rivets between each spoke. All 4 wheels are in great shape and have no curb rashing or deep scratches. Hartmann Wheels are compatible with factory Audi and Volkswagen center caps and factory ball-seat bolts can be used to mount them up. Below are images of each wheel. Click the thumbnails to view a larger image. 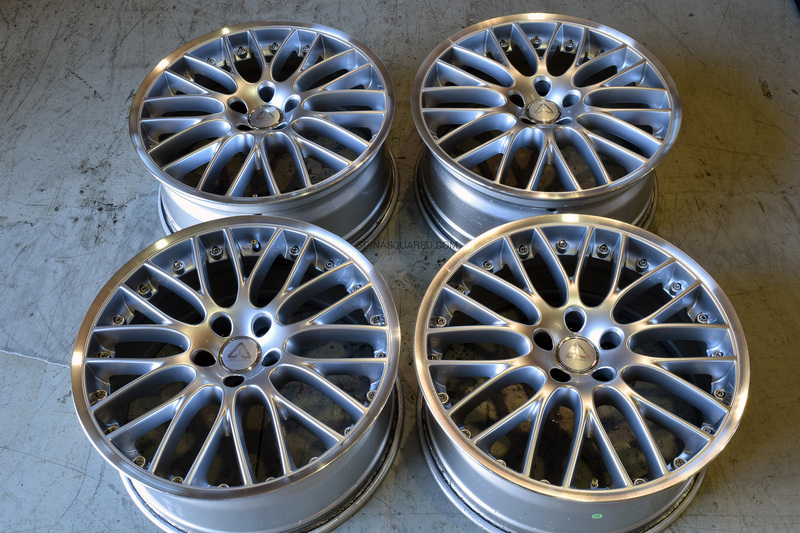 These 4 wheels can be yours for $800! Yes, we are willing to ship, but at your expense. Please contact us via email to arrange a purchase and/or discuss details.